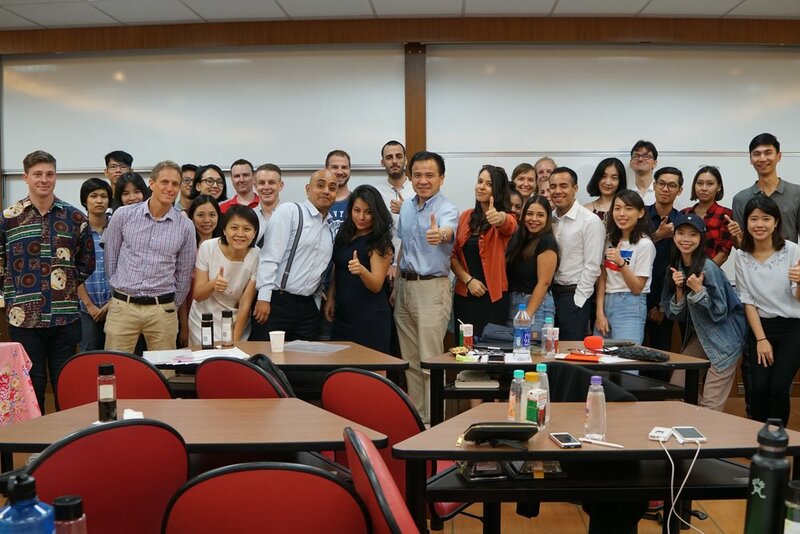 The Independence Studies in Human Resources Management Course provided by GHRM MBA program (Global Human Resource Management English MBA program) had reached an end on June 21st. At the beginning of this semester, all students from the program were divided into five groups randomly and were asked to cooperate with each group member, including students from Taiwan, America, Vietnam, Canada and so on. Five companies (including Sheh Fung Screws Company, GOOD DAY Environmental Engineering Co., Ltd., KAWASKI TRADING CO., LTD., Orient Semiconductor Electronics, Ltd., SanTzuoo Co., Ltd.) from different industries were assigned to each group respectively. Throughout the semester, students had meetings with the course instructor (Dr. David McConville) as every group needed to work together to come up with solutions depending on the projects the companies wanted them to work on. Projects were all within the HR department of each companies, such as identifying successors or retaining talents. This course provided students with opportunities to actually apply theories from textbooks to real cases. Despite the fact that there were some inevitable arguments among group members, students had learned not only skills of dealing with a project but also skills of conflict resolution. One of the company representatives pointed out the students did a great job on the project and it would be likely that the company would take on the suggestions based on the results of their teamwork. 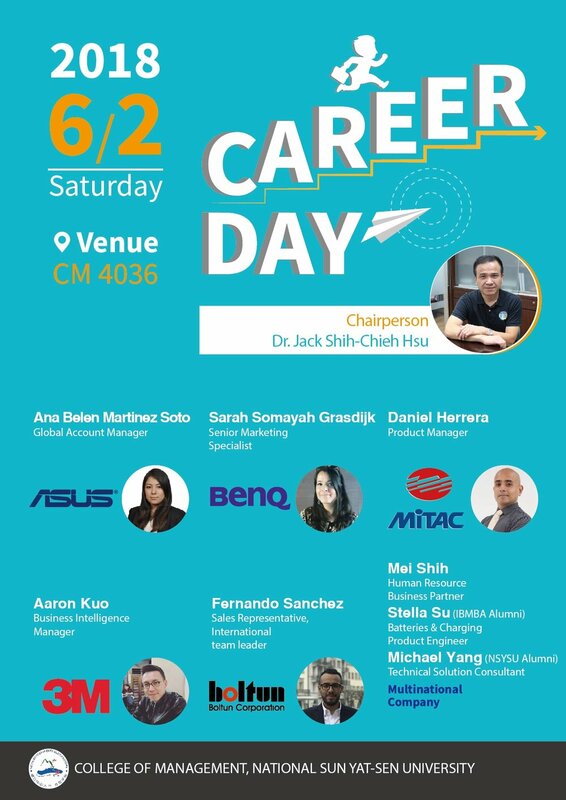 Career Day!Foreigners working in Taiwan Sharing event! The NSYSU College of Management Career Day on June 2nd was a perfect event for both local and international students. 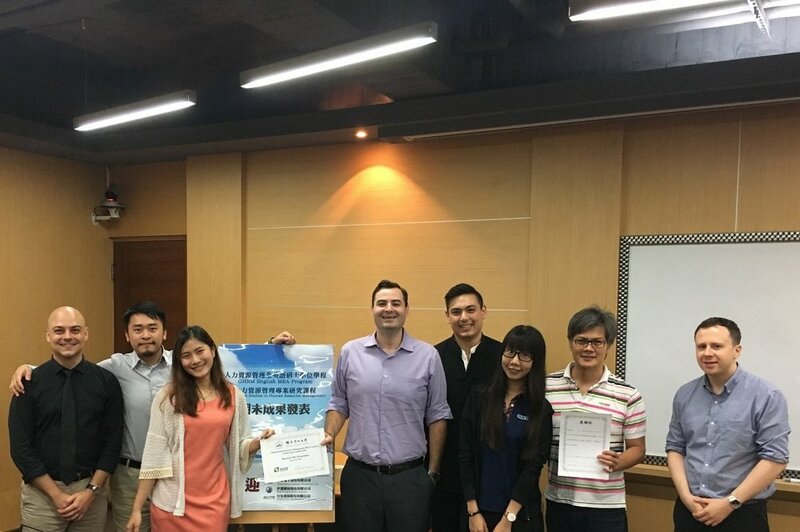 It was an opportunity to discover the best strategies for finding a job and working in Taiwan. Mr. Daniel Herrera graduated from a Taiwanese university and currently works at MiTAC International Corporation as Product Manager. Mr. Herrera had the most extensive working experience among the guest speakers. He elucidated some industry trends and challenges for job-seekers and also discussed some of the most relevant marketing strategies and techniques. Ms. Ana Belen Martinez Soto is a young NTU graduate and is currently working as a Global Account Manager at ASUS headquarters in Taipei. She told the students about her accomplishments, difficulties, and opportunities to learn she has encountered in her career. She discussed dealing with generational and cultural differences in the workplace and offered some strategies to overcome potential conflict. She stressed the importance of knowing the local culture and language and knowing the key person in your working environment. Ms. Sarah Grasdijk, who is currently Senior Marketing Specialist at BenQ, is originally from the Netherlands. She has extensive experience studying Sinology and Mandarin, ans has also studied media management. She shared her experience of adapting to a very different working culture and dealing with the communication issues between supervisors and subordinates. In addition, she discussed the importance of knowing how to communicate with coworkers from different departments. 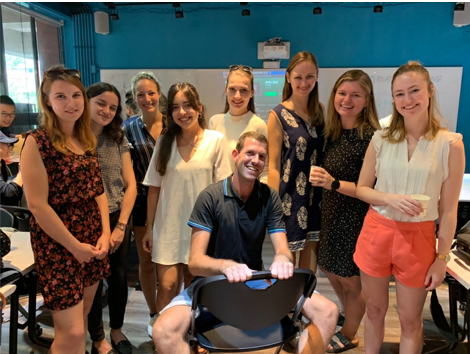 Ms. Grasdijk also emphasized the important of making Taiwanese friends, and expanding one's social life beyond socializing with other foreigners. Mr. Fernando Sanchez is a former student at NSYSU's Chinese Language Center. He is a young and energetic sales representative and International Team Leader at the Boltun Corporation. Mr. Sanchez shared his motivations for finding a job in Taiwan: the friendly atmosphere, good attitude toward foreigners, and a great opportunity of learning new things. 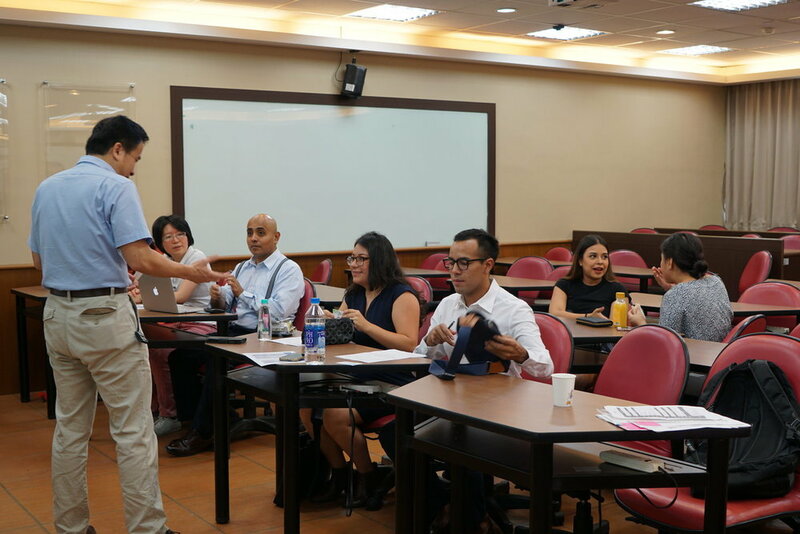 In the afternoon session, local human resource professionals and NSYSU alumni were welcomed to share their suggestions for successful CV writing and interviewiong, as well as some key points to remember when looking for a job in Taiwan. The “CAKE” technique (Chronicle, Action verbs, Key phrases, Edible length) for resume writing was introduced and explained by Mr. Aaron Kuo, Business Intelligence Manager at 3M. Mr. Kuo explained in detail the importance of the first impression a resume makes on the employer. Making a resume attractive and eye-catching is of the utmost importance. The average resume will be viewed for only six seconds, so brevity and precision are the key factors. ''Work hard, play harder'' is the motto of global Corporation employees, and Ms. Mei Shih follows it unconditionally. She is a human resource Business Partner at global company and shared the “blind date” concept of resume submission. To get the job, the job-seeker has to “sell” oneself. In order to do so one needs to be confident, precise, and prepared. Ms. Shih also encouraged students to consider a different approach to interviewing. An employee is not just an interviewee, but also an interviewer - try to lead the conversation, ask questions, collect information, and steer the conversation in an advantageous direction. Ms. Stella Su and Mr. Michal Yang, NSYSU alumnis, also shared their experiences of finding a job, managing the challenges of being a newcomer in the company, and finding a perfect fit for one’s education as well as the job demands. - Build your network – the sooner, the better. - Establish meaningful relationships with your peers. - Learn Chinese - it is an indispensible asset. - Attend NSYSU events and workshops, the best way to build your network. 【Speech】How does media get made? John Murn joined GHRM as guest speaker in International Marketing class on April 20th, and provided students with an insider’s view on the world of media. Murn examined where, how, why, and by whom media is created. Mr. Murn came to Taiwan more than 7 years ago and has been through numerous jobs. He began teaching English before eventually finding his current place in media world. 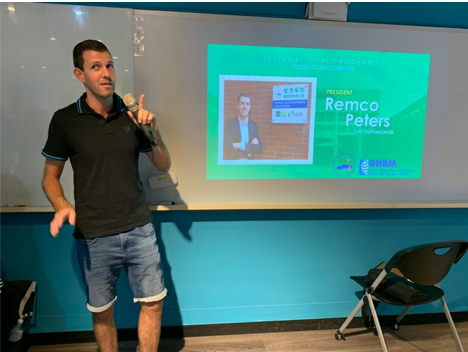 Murn's visit was informative and useful for those interested in the advertising industry, but he also shared some valuable advice for all international students with hopes of working in Taiwan. - If you have a goal to find a job - be persistent. Send out your CV to as many companies as possible and don’t be upset if your first salary is less than you expected. - Networking is everything. Make connections. Talk to as many people as you can. Go to events, seminars, and workshops. Apply for internships even if they are not related to your area of interest. Why? Because you MEET PEOPLE! Everyone you meet has the potential to be an important part of your network and help in building your future. 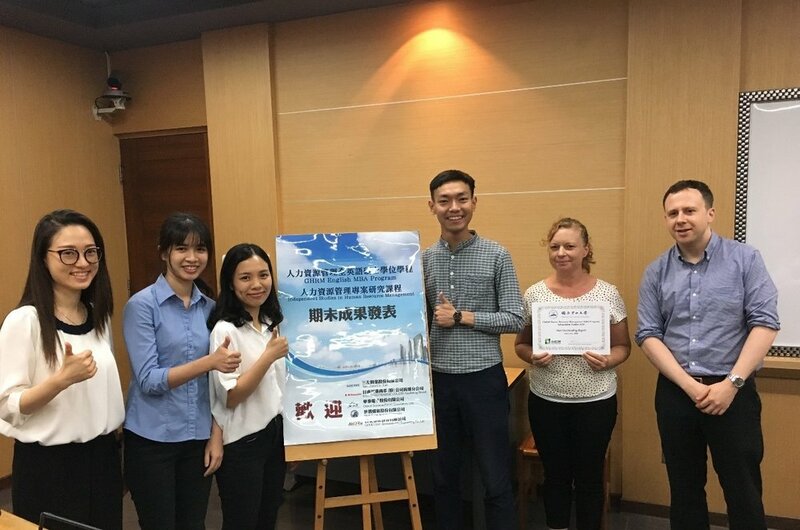 On 19th of April Mr. Johannes Steinicke (alumnus of the NSYSU CLC, guest speaker from last semester, currently working as Project Manager at “Interplan” company in Kaohsiung) was giving a speech at “Work and Culture” class. 1. the very first option for a foreigner might be a commercial (not diplomatic) representative office of home county in Taiwan (a good opportunity to work in a cross-cultural environment, see examples of people getting along with each other and learn about the relationships between countries). It is not easy when you face new cultural environment and Mr. Steinicke told us about his personal tool to cope with difficulties: if you don’t feel comfortable somewhere - think of a lobster (how he needs to exuviate in order to grow - we all need to go through some changes in order to grow and change for the better). Don’t be shy or scared - go out and try new jobs! In any outcome you will learn something new! And join to listen to other guest speakers in future!